There is a secret in Deborah’s past she has only heard in whispers. Her present is a nightmare—shunned and feared, they call her Serpentspawn. The future is a forced marriage to a disturbed, twisted boy. Escape from Providence into the desert wastes is the only way out. But this is the demon’s realm, and Abaddon has her in his sights. One rampart, one shield stands between Deborah and destruction—his name is Jonah. Together, Deborah the pariah girl and Jonah the dog boy will change the world. Or die in the attempt. The Dark Citadel, first volume of The Green Woman trilogy, is the story of Deborah’s flight to find her mother, the Green Woman, to offer humanity an alternative to the evil nourished by the Elders. It is a story of courage and the overwhelming power of love. 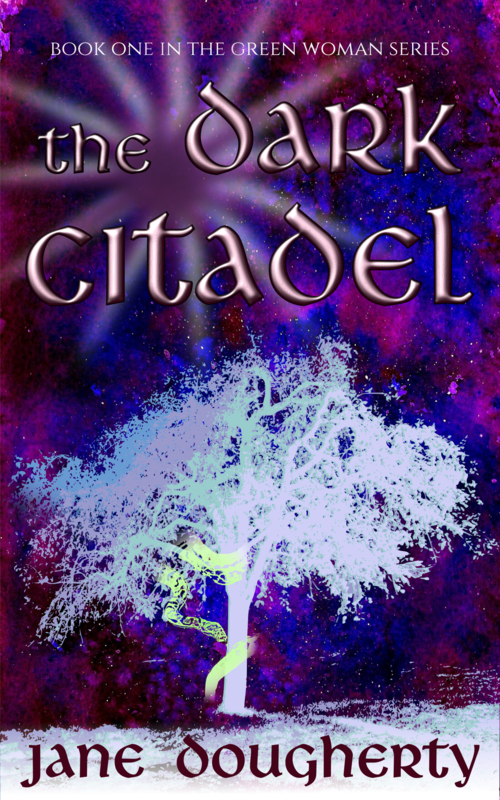 The Dark Citadel is the gateway to a world of fear, hatred and ignorance, beset by evil and rotten to the core. But there is hope in a green girl, a runaway boy, and the handful of ordinary people who believe in something better. The Green Woman trilogy tells how they build the dream. If you care to follow Deborah and her wild chase, her story starts here. Free from Amazon for July 14th Bastille Day and July 15th for those who were out celebrating. 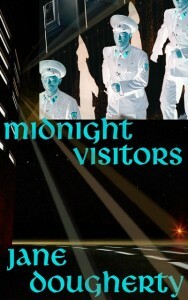 As an added bonus, the short story, Midnight Visitors, will also be free from the 14th through to the 18th. Like Deborah, Aisha refuses a forced marriage. Unlike Deborah, she has nowhere to run, but she does have an almost unique gift in loveless Providence, a family that cares about her. The secret police might be on her tail, but the Green Woman is moving, the regime of the Elders is faltering, and Aisha dares to hope in a better future—if only her brother is proved wrong, and they are not destined to become the first martyrs of the revolution. Amazon has glitched and has not put this one free today, so Jane has set it up to be free tomorrow, July 15th. Hopefully it will work this time! Thanks for the plug, Kate and sorry about the Amazon glitch, but then we’re used to that, aren’t we? Your books are amazing. Love, love, love them!